Here's the Carzone.ie guide to buying a used Audi A3. The third-generation Audi A3 arrived on Irish shores at the end of 2012, initially in three-door hatch format and powered by the Volkswagen Group’s then-new 2.0-litre TDI 150 diesel engine. It was lauded for its exceptional quality and class-leading cabin design and execution. Shortly after the arrival of the three-door A3 came the launch of the more popular five-door variant, called the A3 Sportback. In time, an elegant four-seat A3 Cabriolet and particularly appealing four-door A3 Saloon were added to the line-up. Diesel power dominated the premium hatch market for most of the A3’s life, so there are plenty of diesel A3s in the classifieds. The 1.6 TDI has ample performance for most, is smooth and is exceptionally economical, while the 2.0 TDI alternative has considerably more power, if also worse refinement. Petrol engines were offered too, including an unremarkable 1.8-litre TFSI unit early in the car’s life. The latest petrol models use either a three-cylinder 1.0-litre TFSI engine or a four-cylinder 1.5. They’re both very good, quiet in operation and more economical than you’d expect. Almost all engines could be paired with the S tronic dual-clutch automatic transmission, with a six-speed manual gearbox standard. 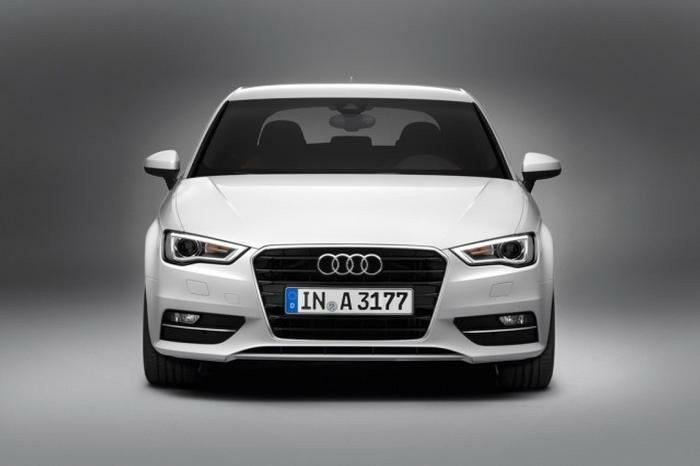 The core trim lines are SE and S line (the latter distinctly sporty looking), though the A3 was also offered in Sport and Attraction guises at various stages of its life. Stick with the five-door A3 Sportback, as it retains its value better than the three-door car and will be easier to sell on. Then it comes down to your driving profile. If you do a lot of mileage on the motorway, an SE version powered by the 1.6 TDI diesel is the sensible option. Conversely, if you live in town and don’t need the car for commuting, perhaps you could put up with the less comfortable ride of the S line variant in return for its sportier looks. If you’re buying a newer model, we highly recommend both of the petrol engines. The Audi A3 shares a lot with the Volkswagen Golf, but the badge on the bonnet gives it added cachet, which means strong residual values. That’s great for the seller, but buyers will find the A3 holds its value, meaning it can look expensive as a second-hand car against others. Nonetheless, it remains an accomplished model that’s smooth and refined and available with a wide range of top engines.